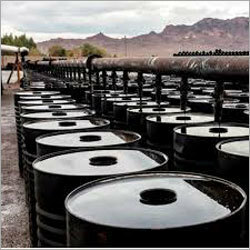 Incorporated in the year 2015, Diamond Tar Industries have managed to establish ourselves as the topmost manufacturer and supplier of the industry. 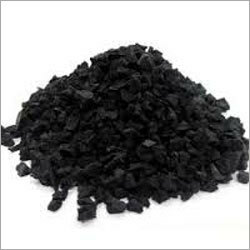 We are dedicated to serve our customers with a variety of Bitumen Emulsion, Crumb Rubber Modified Bitumen (CRMB), Recycled Tyre Rubber Modified Bitumen, etc. With the help of our well-linked distribution network along with good transportation facility, we have been able to deliver these items within a reasonable time frame as per the clients end. We have gained a price advantage in international market at par quality. By developing a self-motivated service team, we are accomplishing client's requirements efficiently. The strict adherence to the international norms and standards enables us to enhance the quality of our range. Guaranteed products are offered at affordable prices with optimum quality. Moreover, our customers are provided with timely delivery of orders. Using high grade raw material, including Powder, Rubber Powder, Acid, Emulsifier, Polymer, Drums etc., our products are ensured to be safe and supreme quality. Developing various sophisticated production facilities in our organization, we are able to satisfy huge number of clients and build a reputed position in the market. By maintaining 5 well-equipped production units, we are manufacturing 2000 MT per month. This also ensures to speed up our production process in order to cater to a wider market segment. Further, we have developed various latest and high-tech machinery and equipments including Mixer, Ovens, Automatic Emulsion Plant in these full-fledged production units. This ensures qualitative range of products with lowest possible cost. M/S Mahakaleshwar Infratech Pvt. Ltd.
M/S R.K Jain Infra Project Pvt Ltd.
M/S Ansal API Infrastructure Ltd.
M/S Abhay Udaya Housing & Construction Pvt. Ltd.